Haley Downin helped Chesapeake-Anne Arundel softball stay perfect Friday evening. The junior allowed six hits on the mound, and scored two runs as the second-ranked Cougars defeated No. 3 Severna Park in a key Anne Arundel County contest at Bachman Park in Glen Burnie. 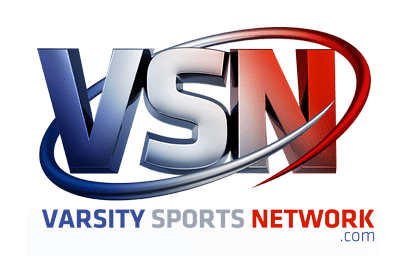 In a battle of Top 5 VSN softball powers from Anne Arundel County, second-ranked Chesapeake-Anne Arundel built an early 5-0 lead, Friday evening at Bachman Park, and held off a late charge from No. 3 Severna Park to remain unbeaten with a 5-4 victory. The youthful Cougars struck for three runs in the top of the first inning as Brionna Bowman delivered an RBI single, Tristyn Stewart scored on a wild pitch, and Kilee Warner picked up and RBI with an infield grounder. 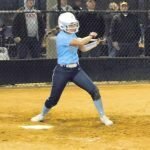 It stayed that way until the fourth when Chesapeake freshman Jerzie Nutile cracked a solo home run off Severna Park pitcher Marissa Heuer and Chesapeake made it 5-0 when Hailey Downing, who scored the Cougars first run of the game, raced home on a sacrifice fly by Stewart, in the fifth. According to Chesapeake coach Don Ellenberger, the early lead was a big factor. Up 5-0, Chesapeake (14-0 overall, 10-0 Anne Arundel) appeared in command behind Downin, who was in the circle. Severn Park (11-2, 8-1 Anne Arundel), which had threatened in the third and fourth innings, however, finally broke through in the home half of the fifth. Falcon super slugger Emily Kline’s double plated the first Falcon run, chasing Kylie Dingess home all the way from first base after she had led off the game with a single. Severna Park then added its second run, when Kline scored on a squeeze bunt by Abby Becker. Trailing 5-2 entering the home half of the sixth, Severna Park turned to Dingess to ignite another rally and she delivered once again with a lead-off single. She then again made the long scoring run from first to home on a two-bagger off the bat of Emma Hall, slicing Chesapeake’s lead to 5-3. Hall eventually got to third and took off for home when Maddy Gerard hit a come-backer to Downin. Downin through home and Hall was initially called out. However, the umpires conferenced and eventually overruled their call, giving Severna Park its fourth run. Things got even more interesting when Emily Summers singled and Kline was intentionally walked to load the bases with two down. With the Falcons poised to tie or take the lead, Downin came through with a strikeout of Abby Becker to keep the Cougars on top. “Coach Don said he trusts me, so he just loaded the bases up and let me throw whatever pitches I felt comfortable with, so I could get a strikeout or out of the inning,” said Downin. After Chesapeake failed to score in the top of the seventh, Severna Park applied the pressure once again, as they put two runners on with just one out in the bottom of the inning. But the ever resilient Downin calmly got the final two outs to allow the Cougars to hang on for the win. The young pitcher said the victory was a huge confidence boost for her squad. Chesapeake now leads Severna Park by 1 1/2 games at the top of the league standings with six games to go in the regular season.